Making sure our homes or businesses are safe by installing good quality walling or fencing is not our only priority. 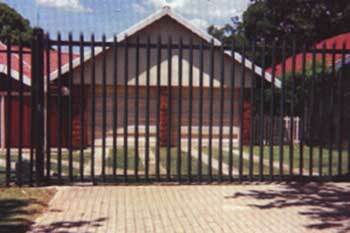 We also need to ensure that we have strong gates which are working properly. To ensure the gates are in good working condition, it is advisable to check them regularly to ensure they are functioning as they should be. Check regularly that there is nothing on the gate tracks to prevent it from closing properly, e.g. mud or debris. Once the gate is stopped from closing by any obstacle, it will merely open again, and will then give easy access to your property. You can also install an anti-vandalism bracket on your gate, to prevent anyone from tampering with it, and thus giving easy access. Another good idea is to have an anti-crashing kit fitted which links to your alarm system. 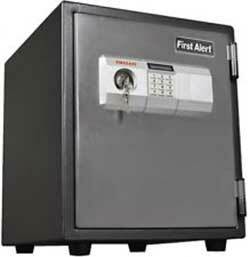 This will ensure that the alarm is activated should anyone try to tamper with the gate. Whether you choose steel swinging gates, or steel sliding gates, always check to see that they are in proper working condition. Steel gates are a very good option, as they do not offer easy access to your properly as would for instance a wooden gate.